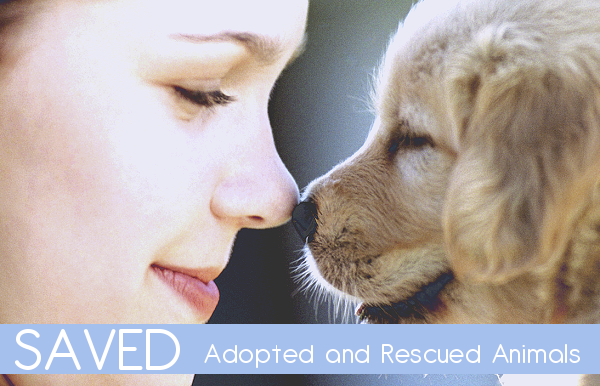 to SAVED, the fanlisting for, Adopted and Rescued Animals! Most of my volunteer time is spent rescuing and adopting out animals who have been abandoned, neglected, abused, are homeless for whatever reason, or feral. These animals include cats, dogs, rabbits, guinea pigs, hamsters, mice, rats, birds, snakes, turtles, lizards, pigs, and horses. Nothing is more rewarding to me than this cause, and everything that goes along with it. The good & the bad, is so worth it to me. All of my own pets are rescues, and it is so important for people to adopt a pet rather than buy one. You won't be disappointed, and you'll be saving a precious life in the process! If you are unable to adopt an animal, I implore you to donate your time, money, materials such as blankets, provide pet food for shelters, safe haven's, and homeless animals. Whatever you can do to help, please do. You can even click a banner below to feed a shelter animal for free! Please also remember to spay or neuter your pet! A fanlisting is a list of fans from around the world stating that they are a fan of a particular subject. In this case, that subject is Adopted and Rescued Animals, so if you are a fan like I am, join up! Please donate to your local animal shelters and sanctuaries.